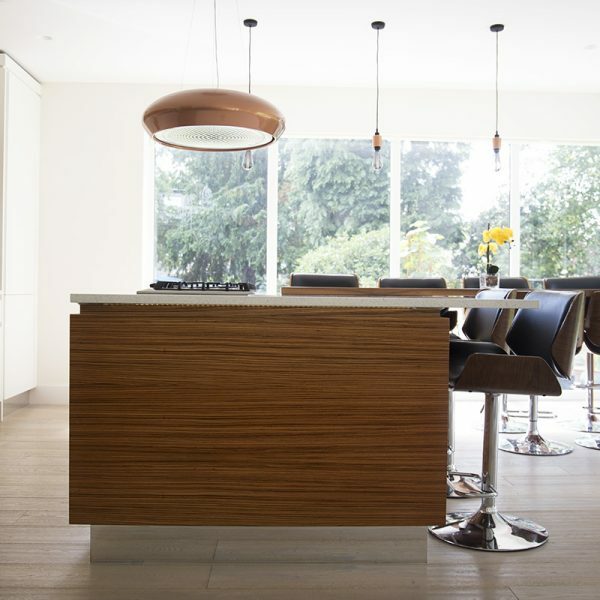 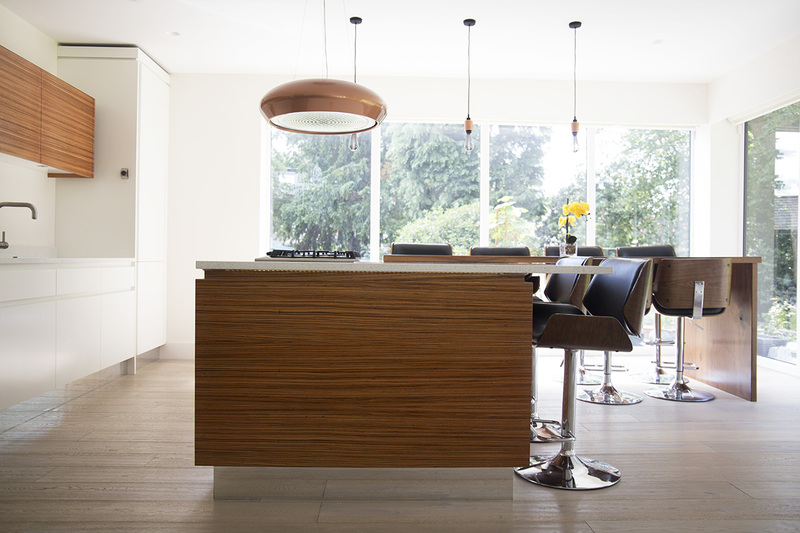 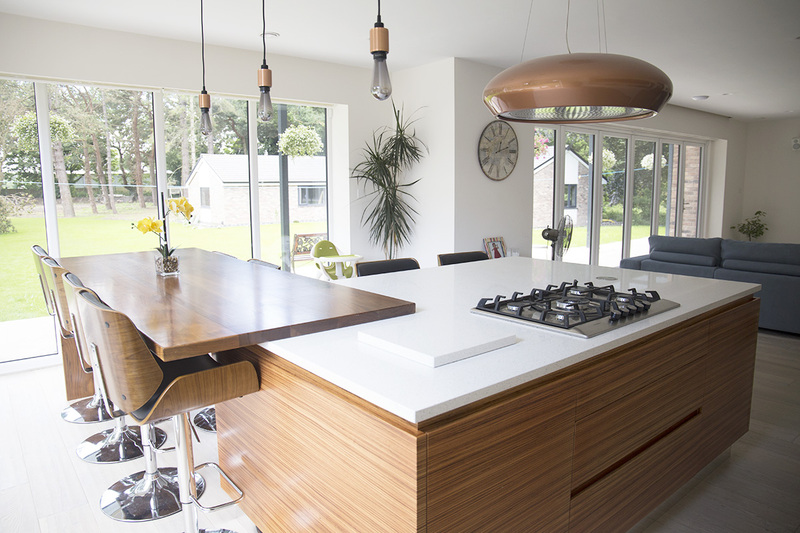 An impressively contemporary kitchen. 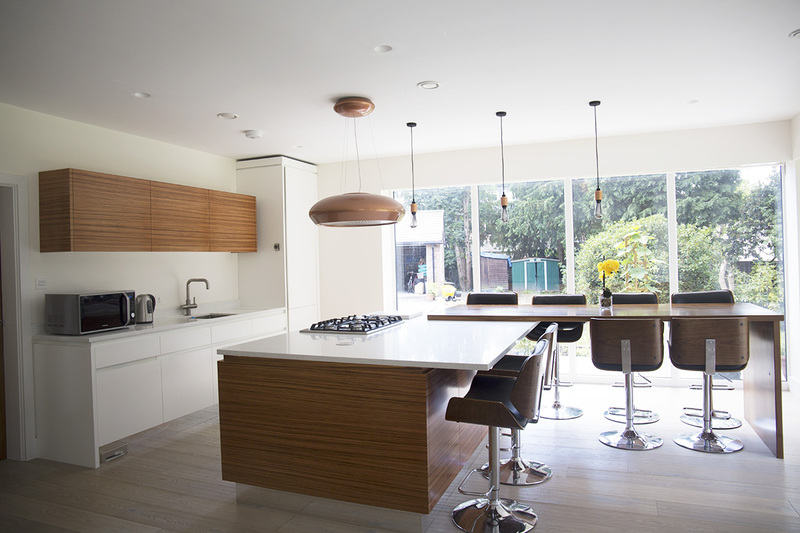 Here we have used solid Walnut with bespoke veneered Zebrano woods, complimented by mirrored plinths. 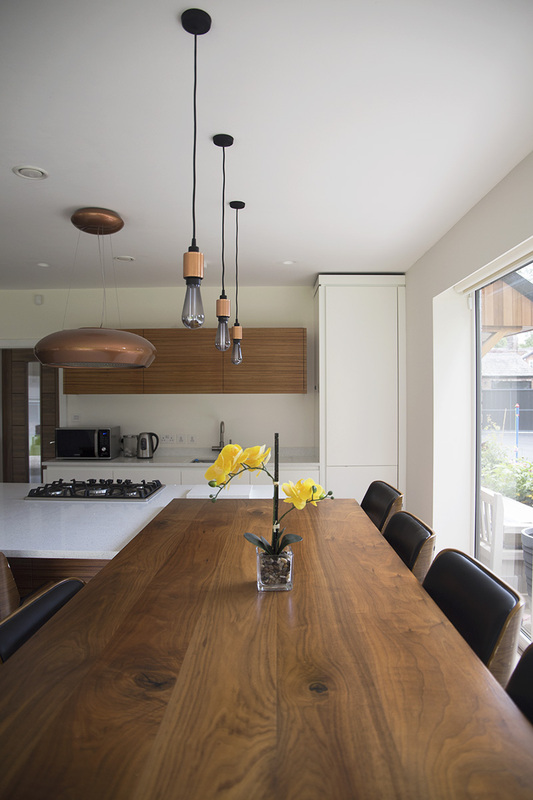 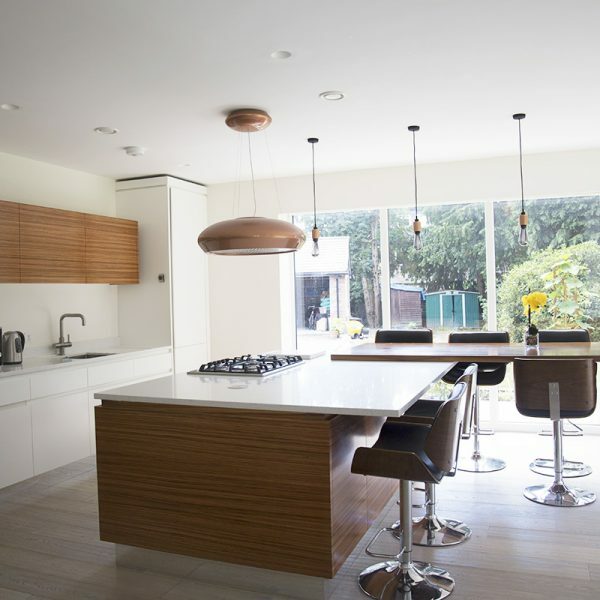 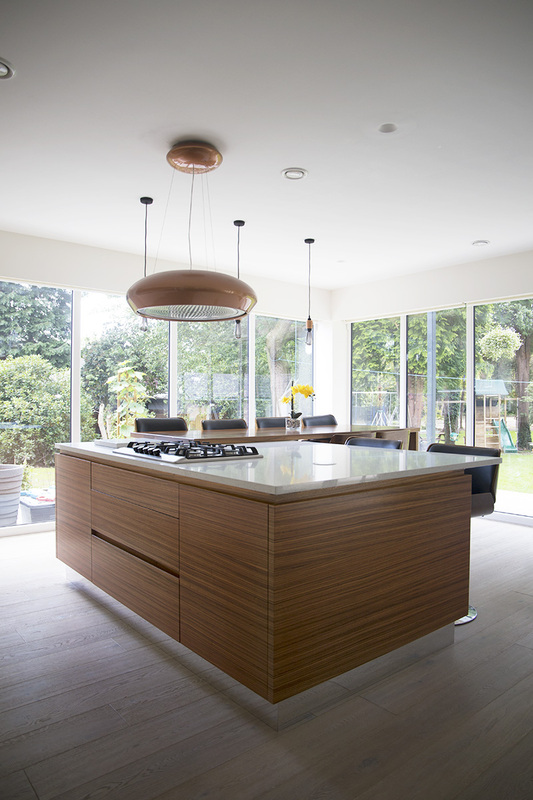 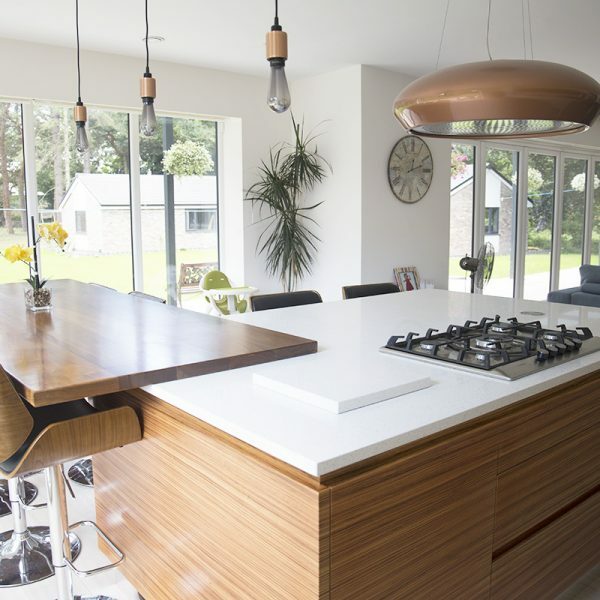 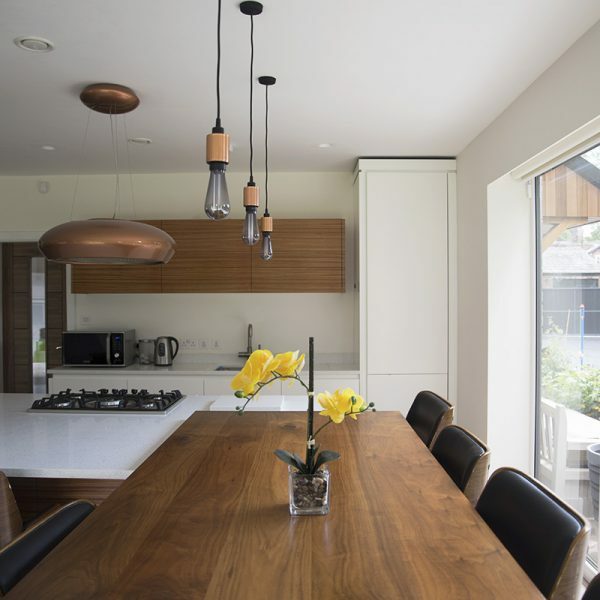 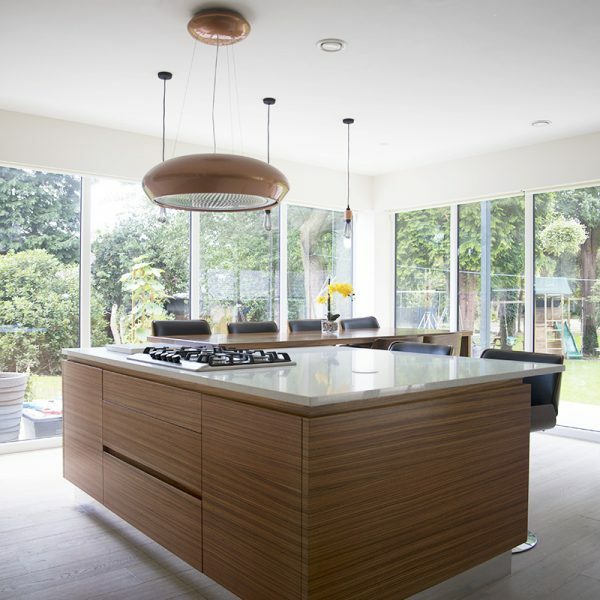 Certainly makes that wow factor kitchen for entertaining family and friends.